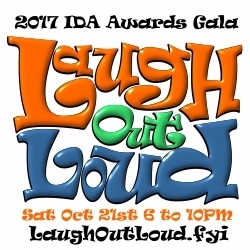 Denver, CO, October 03, 2017 –(PR.com)– The Invisible Disabilities® Association (IDA) honors its 2017 award recipients on Oct. 21st at the 10th Annual Awards Gala, Laugh Out Loud, in Lone Tree, Colo. 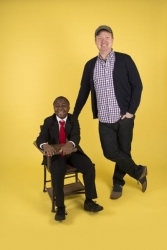 Among this year’s recipients is five-time Emmy award winner and Grammy nominated actor, singer, dancer, improviser and songwriter Wayne Brady for openly sharing his personal journey through depression and inspiring others with his realistic and pragmatic approach to coping and his positive voice. This year’s Awards Gala, sponsored by Fireplace Warehouse ETC. provides an opportunity to raise awareness and funds, plus honor eight incredible individuals and organizations making positive contributions towards understanding and education of invisible disabilities. · John Ikard, FirstBank, Board Member and former CEO — recipient of the Corporate Honors Award for helping create a corporate culture of giving back to the community with more than $50 million donated since 2000 including to many disability and illness charities and associations. · Dr Susanne Cohen, Business Strategist and Marketing Expert – recipient of the Founders Award for her insightful business acumen as an advisory board member and her expertise in marketing and business leadership. · Elizabeth Concordia, UCHealth, President and CEO – recipient of the Healthcare Award for creating a strategic focus on developing new models of care, improving patient access, convenience and service. · Lucy Miller PhD OTR/L, founder of the Star Institute for Sensory Processing Disorders and author — receiving the Impact Honors Award for her positive impact on the lives of those living with sensory processing disorders and for her ground-breaking books which are life lines for so many educators and parents. · Major General (Ret) Gale S. Pollock CRNA FACHE FAAN, medical advisor for The Coming Home Project and CereScan, — recipient of the Invisible Heroes Award for her positive impact on the lives of veterans currently as a medical adviser on numerous frontline health organizations and as a veteran, nurse and former Commander of the U.S. Army Medical Command, former Acting Surgeon General of the Army, and former associate professor at the University of Pittsburgh Schools of Medicine and Nursing bringing much needed visibility and support to veterans living with PTSD, TBI and other invisible wounds. · Amy Van Dyken-Rouen, six-time Olympic Gold Medal Champion – recipient of the Invisible No More Perseverance Award for amazing perseverance as she lives each day since childhood with life threatening asthma and the more recent excruciating pain and trauma caused by a spinal cord injury and subsequent paralysis from a major 2014 accident. · Carrie Fell, renowned artist, painter and sculptor — receiving the Volunteer Honors Award for her passionate volunteerism with multiple charities serving people who live daily with illness and disability. 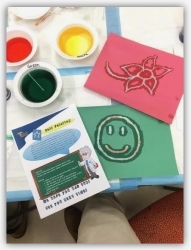 Wayne continues, “The Invisible Disabilities® Association’s goal is to provide a platform where people can be honest and share their burdens and be met with compassion and empathy from the community.” We can do this together. Let’s lift each other up instead of tearing down. 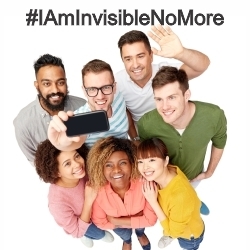 Let’s Laugh Out Loud together and envision a world where we all will be Invisible No More®. Entertainment for the 2017 Gala will be provided by award winning Colorado-based comedian, Sam Adams. Arlene Mohler Johnson will be this year’s honorary gala chair. Aaron and Sandee LaPedis, owners of Fascination St Fine Art in Colorado are the 2017 gala co-chairs.